Sunday April 8th, 1956, 8.30 p.m.
With The Photographer, this picture is the best of the series because it does not strain for effect. Its portrayal of a tired music professor who wonders whether his life has been worthwhile trying to teach children with no aptitude for music to play the piano is underlined with a quiet charm and feeling. When the pupil with a gift for music does come along, his work brings him satisfaction again. The professor’s life and background are revealed quickly and visually, and the entire study is beautifully created. Sam Payne’s pleasant voice complements the mood and the character. Mr. and Mrs. Crumpet develop a great affection for Christopher’s imaginary playmate–a full-sized elephant. The mean-minded Bilgewater, an officer colleague of Mr. Crumpet, reports the elephant to their boss, hoping to win promotion at Crumpet’s expense. But the boss, with cherished memories of his own imaginary playmate–a hyena which he sets on to Bilgewater–promotes Mr. Crumpet to full partnership. A striking return to form on the part of UPA. The drawing–thick line and flat washes–is of a high standard and very expressive, and the story and characters have the char of a highly sophisticated naivete. Warners, USA 1955, 11 mins. 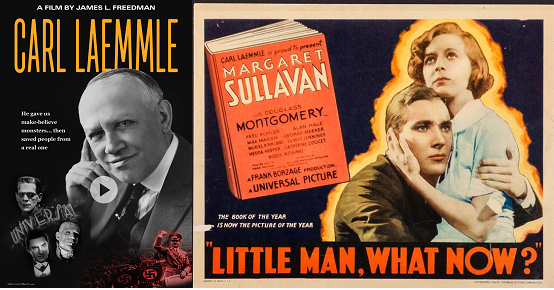 Capssule version of another of Warners’ early “talkies”. The film abridged here is Isle of Lost Ships (1929 directed by Irving Willet), a melodrama apparently devoted to all-out action, in which hero (Jason Robards), heroine (Virginia Valli) and a detective are stranded aboard a drifting liner which carries them to the centre of the Saragasso Sea, the last resting place for a variety of battered and derelict hulks. Trouble follows with a gang of renegades commanded by Noah Beery, and an escape is finally made by submarine. Isle of Lost Ships, to all appearances a naive and eventful sea story, has less intrinsic interest than some of the pictures previously shown in this series. Curiosity to see the whole film is hardly aroused but the highlights affectionately preserved here are fair examples of the vigorous, uninhibited action typical of the film’s period. MAURICE CHEVALIER–a native of France since 1889 and a citizen of Show Business since 1901–is a charming entertainer as well as an entertaining charmer, whether on stage or screen. The longevity of his popularity is proof that Chevalier’s art–like Chaplin’s–is both timeless and timely. 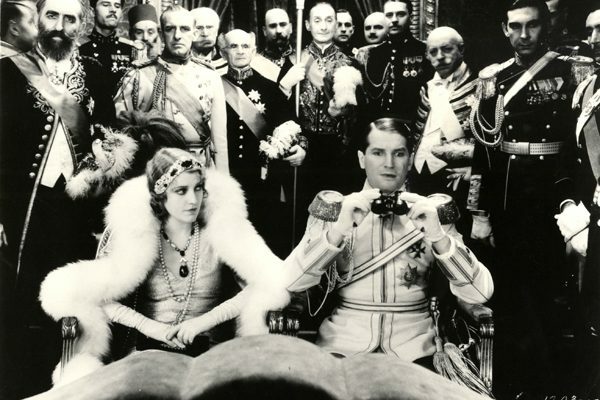 It was The Love Parade, Chevalier’s second American film which brought him into a successful collaboration–both artistically and financially–with Jeanette MacDonald and Ernst Lubitsch. Their scintillating association on the screen terminated in 1934 with The Merry Widow–perhaps more Lubitsch than Lehar, but nonetheless a most delightful operetta. As with any performer–good, bad or indifferent–Chevalier appeared in a number of mediocre vehicles, among them Love Me Tonight, A Bedtime Story, and The Beloved Vagabond. The latter was made in England in 1937 and featured a young and promising actress–Margaret Lockwood. 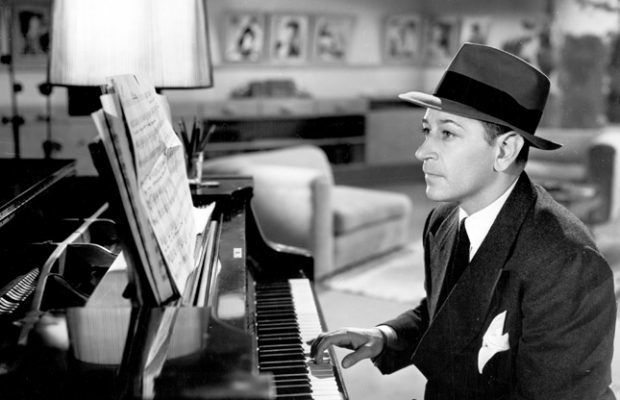 Besides the two films noted above, his other worthwhile efforts included Innocents in Paris (1929) his American film debut, The Smiling Lieutenant (1931) based on Oscar Straus’ A Waltz Dream with Claudette Colbert and Miriam Hopkins, and Folies Bergere (1935) with Merle Oberon and Ann Sothern. This was his last American film and in it Chevalier played a dual role. 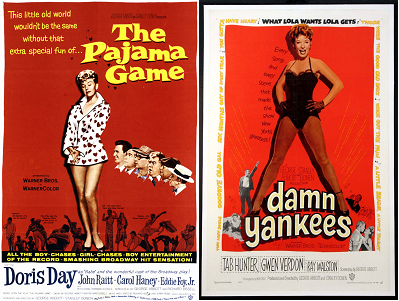 This story was to serve 20th Century Fox with two subsequent re-makes–That Night in Rio with Don Ameche and Carmen Miranda, and On the Riviera with Danny Kaye. Unfortunately, motion pictures did not give full scope to Chevalier’s priceless pantomimic art, but enough of it has remained in a number of outstanding screen performances to ensure him a permanent place in film history. JEANETTE MacDONALD–although the leading lady in a number of early screen musicals which included The Lottery Bride with John Garrick and Joe E. Brown, and The Vagabond King with Dennis King and Lillian Roth, seemed to hit her stride when teamed with Chevalier and later with Nelson Eddy. As a solo actress she fared less fortunately. Even her appearances in Monte Carlo, The Cat and the Fiddle, The Firefly and San Francisco were dimmed by the bright performances of her co-stars, Jack Buchanan, Ramon Novarro, Allan Jones, and Clark Gable respectively. Miss MacDonald is now in semi-retirement, fulfilling an occasional night-club or concert engagement. She is, however, scheduled for a Broadway musical next fall entitled My Royal Past. LILLIAN ROTH’s “This is Your Life”, plus her biography, I’ll Cry Tomorrow, and the eventual film version of it, are well known. Strange as Fate may seem, Miss Roth is perhaps a better known personality today than she was a quarter of a century ago, when her film roles were relegated to a secondary nature and many of them in third-rate productions. 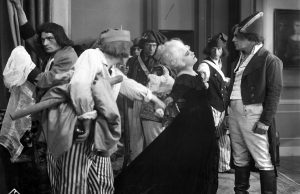 Her best remembered portrayal was “Huguette” in the afore-mentioned Vagabond King. LUPINO LANE–a member of the great acting family of Lupinos, was a popular comedian in Hollywood films during the 20’s. His niece Ida Lupino has carried on in the acting tradition, adding directing, writing and producing to her filmic chores. The Love Parade marked Lupino Lane’s exit from the American screen. The directors of the A-G-E Film Society are gratified by our members’ response to the first series of pictures. We hae therefore booked the following films for next season, and hope you will reserve a membership and join us again next year. The program will be made up of eight films for $5 (no doubles) or nine for $6 for those members who would like to see the special showing of the two westerns mentioned at the last screening.